These beautiful, sculptural clothes by Israeli designer Noa Ravi are inspired by computer glitches and digital errors. Ravi crafts her pieces by creating "defective" digital images in 3D using a command that the native software in unable to execute. Called the Hard Copy collection, the pieces swirl and envelop the body. She keeps to a limited palette - mainly monochromatic - which allows the form to take centre stage. 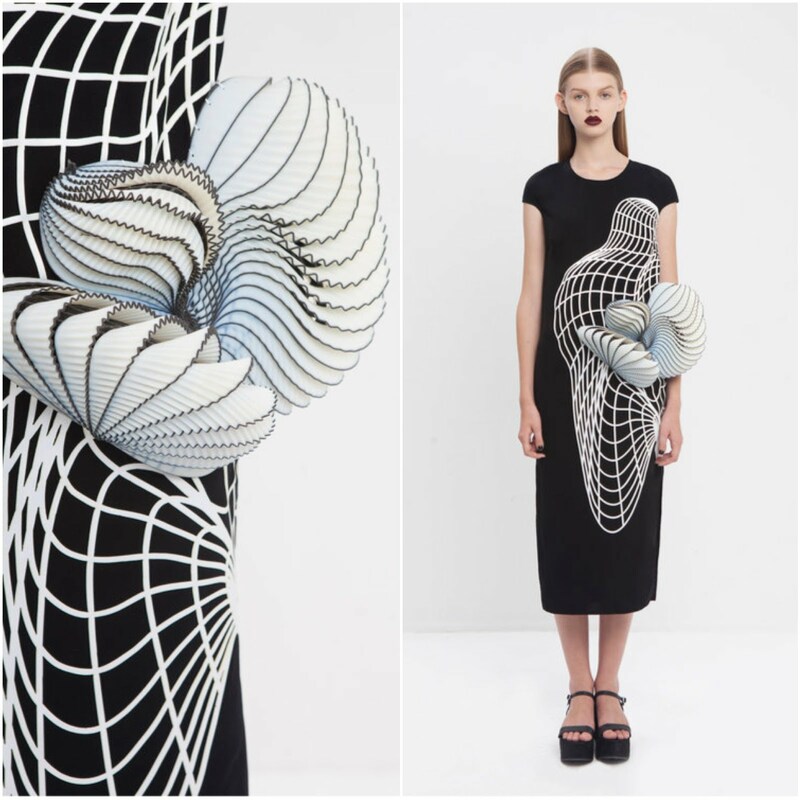 The textiles used in the collection were developed in conjunction with Stratasys.